Park City Community Foundation plays a vital role in solving our community’s most challenging issues. With a staff and board of philanthropy experts, the Community Foundation provides essential support to nonprofit organizations that are making a difference. One program that is making a lasting impact, one member at a time, is the Women’s Giving Fund. 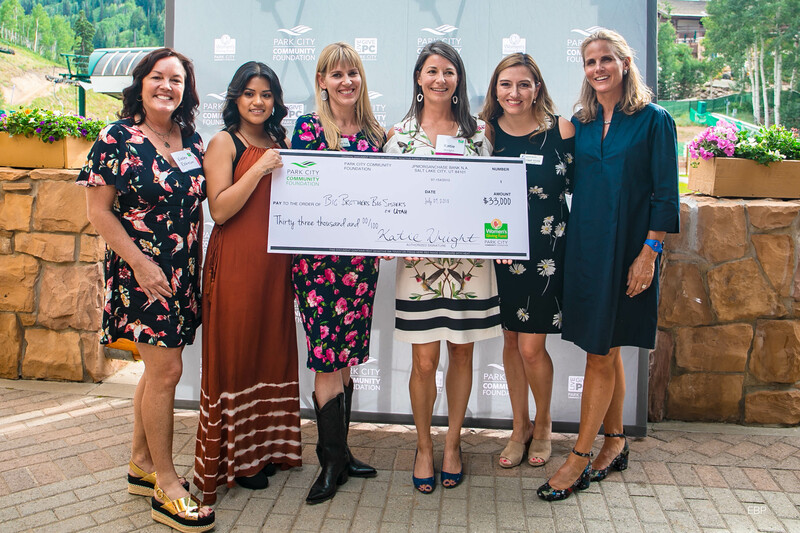 The Women’s Giving Fund was created by a group of women in Park City to focus on the advancement of women and children in our community through charitable giving. 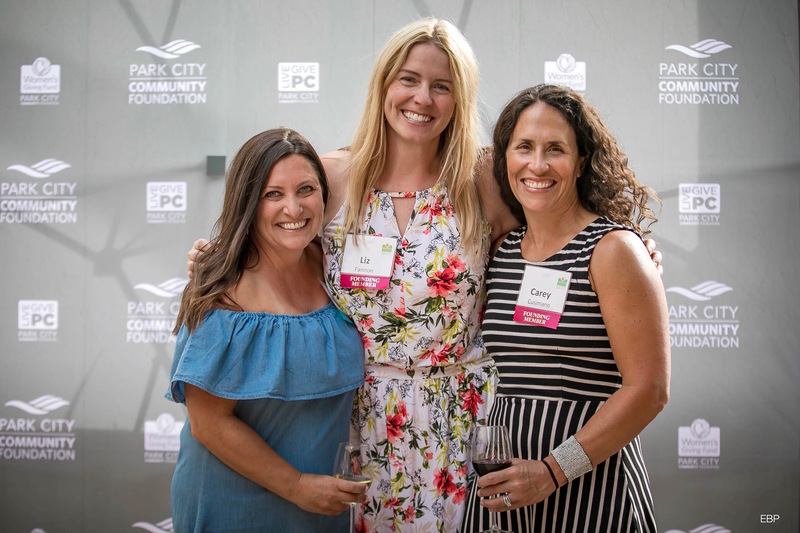 Founded in 2014, the Women’s Giving Fund serves as a channel for women to come together and make a large impact on nonprofit organizations in Park City. Once a year, three nonprofits are selected to be voted on by the Women’s Giving Fund members. Each finalist organization is selected by the Women’s Giving Fund Grants Committee of Park City Community Foundation and must be committed to helping meet the needs of women and children in our county. The winner receives a high-impact grant capable of making a large difference. In 2015, the Women’s Giving Fund made its first $30,000 grant to PC Tots, to provide affordable childcare for low-income families in the greater Park City area. In 2016, the Children’s Justice Center received the annual $30,000 grant, helping fund a medical room in Park City for children who experience abuse. Last year, Peace House was selected to receive the $30,000 grant, to support their transitional housing program for victims of domestic violence. In June 2018, the Women’s Giving Fund members voted on three finalists for this year’s grant: Arts-Kids, Holy Cross Ministries, and Big Brothers Big Sisters of Utah. Arts-Kids’ mission is to use the expressive arts and group techniques to empower youth to build self-expression and community. Their goal is to create a dialogue and environment that enhances life skills such as communication, problem solving, listening, decision making, social skills, and more. Through facilitator-led programs based on art and collaboration, children learn life skills that result in higher self-confidence and self-esteem. The organization was founded in 1999 by Pat Sanger, a child/adolescent specialist, who found that children develop better emotionally when parents, organizations, and communities collaborate to raise children. Founded in Park City, Arts-Kids has grown to serve Summit, Wasatch, Salt Lake, and Uintah Counties. Each program is taught by professional artists who are able to portray that arts can bridge the gap between boundaries of language, ethnicity, socio-economic status, age and education. Kids can be introduced to Arts-Kids through school assembly programs and go on to participate in eight- to ten-week programs. Parents and teachers alike love the program. “Few programs offer art activities that are fun and easy and allow students to express themselves in a non-judgmental environment. Arts-Kids enhances creative thinking and problem-solving abilities,” said local school counselor Diane Cashel. If you would like to help kids and teens uncover the power of self-expression through the arts with a charitable donation, click here. For information on volunteering with Arts-Kids and information on getting an Arts-Kids program into your school, visit their website here. Holy Cross Ministries, a nonprofit located in Salt Lake, has been dedicated to serving our community’s underserved individuals and families for over 140 years. In addition to helping connect community members to resources, they have tailored helpful, specific programs to provide for the deepest needs of our local communities. The majority of Holy Cross Ministries resources go to the underserved, underinsured, and marginalized. Serving over 4,000 people in our state annually, Holy Cross Ministries currently has 5 programs designed to help people and families in need. Three of their five programs focus on developing children educationally, socially, and emotionally. Holy Cross Ministries helps provide low-cost programs and/or scholarships on an as-needed basis for their School Readiness, After School, and Summer Camp Programs for children in Park City. Focusing on children ages 0-3, the school readiness program prioritizes preparing children academically, socially, emotionally, and physically to enter into the public school system. In collaboration with the Park City School District, there are after school and summer camp programs available to all students. Through program support from charitable donations, Holy Cross Ministries offers the summer program for a low, fixed cost of $100. The summer camp addresses the impact of summer learning loss for students who don’t have access to academic resources during the summer – primarily low income children. To learn more about their programs, volunteering, or making a charitable donation, please visit their website here. For the past 40 years, Big Brothers Big Sisters of Utah has improved the lives of thousands of children facing adversity by introducing caring mentors into their lives. Through engaging relationships, Big Brothers Big Sisters of Utah connects and supports the children in our communities who will benefit the most from positive adult role models. They provide three separate one-on-one mentoring programs. Taking a walk in the park, working on a school project, or hanging out and talking are activities that may fall under their community-based program. With expected meetings two to four times each month, volunteers are expected to donate a small amount of their time to make a major impact in a young one’s life. Although Big Brothers Big Sisters of Utah has grown to serve over 1,200 kids in 2016, they are in need of mentors to fulfill the large amount of requests they receive from children in need. There are many ways to help further the Big Brothers Big Sisters mission. Whether you’re donating time as a mentor, making a used item donation, a monetary donation, or donating through their Cars for Kids Sake Program, every bit helps shape the lives of our future leaders. Park City Community Foundation is excited to announce that Big Brothers Big Sisters of Utah has been selected as the 2018 Women’s Giving Fund grant recipient. They will use this year’s $33,000 grant to add a staff position to help recruit additional mentors, allowing more children facing adversity to be served in Summit County. Visit our Giving Guide to learn more about the many nonprofits having a positive impact in Park City, and to find a nonprofit whose mission you believe in. To become a member of the Park City Community Foundation’s Women’s Giving Fund, click here.